May purchase up to 10 vouchers per customer. May redeem 1 voucher per person per visit. Each pass is valid for 2 hours on weekdays and weekends. All participants and observers must sign a liability waiver. Valid only at the Orem location. Children under 18 must have a parent/guardian signed waiver. Parental supervision required for children under 7. Expires 6 months after purchase. See the terms that apply to all deals. A two-hour pass for access to a huge climate controlled 40,000 square foot indoor park. 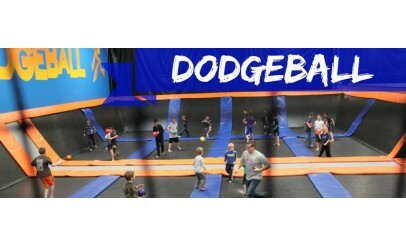 Includes 3D Dodgeball arena fully surrounded by angled trampolines, Slamball (basketball on trampolines), over 100 feet of foam pits, euro trampolines, massive open jump arena with raised platforms, spine, basketball and expert areas. 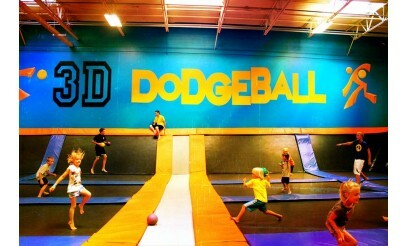 Get Air Hang Time the ultimate place for a party or group event! For birthday parties, Orem's facility offers private party guest areas, reserved tables, decorations, cake, food and drink. 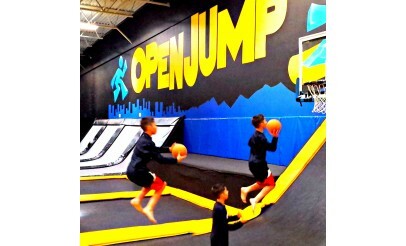 Get Air Hang Time is also the perfect place for company events, youth church groups, family reunions, and school activities.